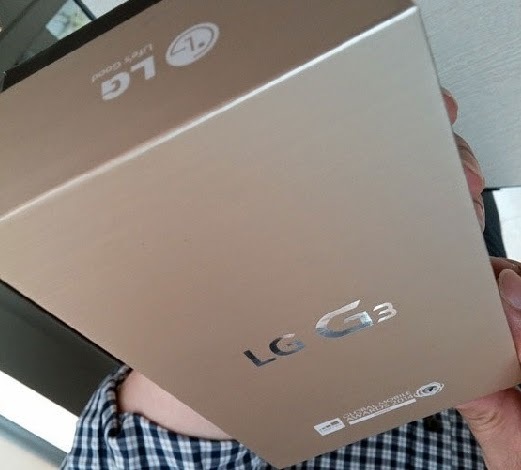 LG unveiled its smartphone LG G3 mai 27 . A few days before this event, the characteristics of the smartphone have leaked on the internet. Focus on the information. The first quarter of 2014, the research firm IDC estimated that a total of 448.6 million mobile, the LG manufacturer found himself fifth manufacturer, well behind the leaders Samsung and Apple, but close to Huawei and Lenovo, with 4.4% of market share. The next flagship smartphone manufacturer is expected, but it will wait until May 27 for the official presentation. LG G3 smartphone equipped with a Quad HD 5.5 inch screen resolution 2560 x 1440 pixels. Also, the smartphone is equipped with a Snapdragon processor 801, an Adreno 330 graphics chip, RAM 3GB, storage space 32 GB, expandable via microSD, a rear camera sensor with 13 megapixel stabilizer OIS + and a 2.1 megapixel sensor. With Android 4.4, this smartphone would have a battery of 3000 mAh and 4G LTE, NFC, Bluetooth 4.0 and WiFi Dual-band compliant. Smartphone displays the dimensions of 146.3 x 74.6 x 8.9 mm. In terms of design, the photos, posted on the internet show a trend brushed aluminum shell. LG will not create surprise on May 27. Except to indicate the prices and release dates of LG G3.